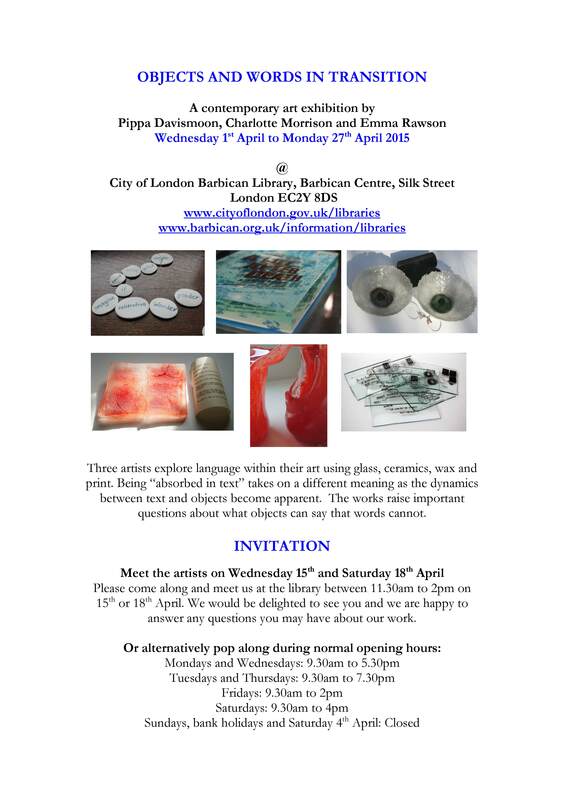 CSM Glass Alumni Emma Rawson, Pippa Davismoon and Charlotte Morrison show new work in the exhibition ‘Objects and Words in Transition’ at Barbican Library, Silk St, London EC2Y 8DS throughout April 2015. This entry was posted in Uncategorized and tagged CSM glass alumni news, Glass exhibition. Bookmark the permalink.